While we’d all love to be able to book every trip for free using only points and miles, once in a while we have to break down and actually pay cash for a flight, hotel, rental car or other travel expense. But if we can’t burn miles on a trip, we should at least be certain that we’re earning them, and preferably as many as possible. Or if a travel expense can be reimbursed via a travel or airline fee credit, that can effectively offset the cost of the trip even better than any loyalty currency. So which cards should you use for your travel purchases? We’ve put together this list of the best ones for this year, which can all stay in your wallet wherever you go, even overseas since none of them charge foreign transaction fees. There’s a ton of value to be had from the Chase Sapphire Reserve on travel purchases. The card comes with a $300 travel credit that can be used for a ton of different expenses, and it also includes travel as a 3x bonus points category (along with dining). If that weren’t generous enough, Chase has made the travel category rather broad for this card, so not only will you be able to get 3x points for purchases at airlines and hotels, you’ll also receive it for using the card at online travel agencies such as Expedia and Orbitz, trains, buses, taxis and cruises. You’ll even get the bonus points at toll booths and parking lots. But the cherry on top is the 1.5 cents per point you get when redeeming these points through the Ultimate Rewards travel portal. That’s the best guaranteed redemption on any personal credit card on the market. And, of course, the points are also transferable to Chase’s airline and hotel partners, so you can also use them for standard loyalty program awards that might otherwise be extraordinarily expensive. 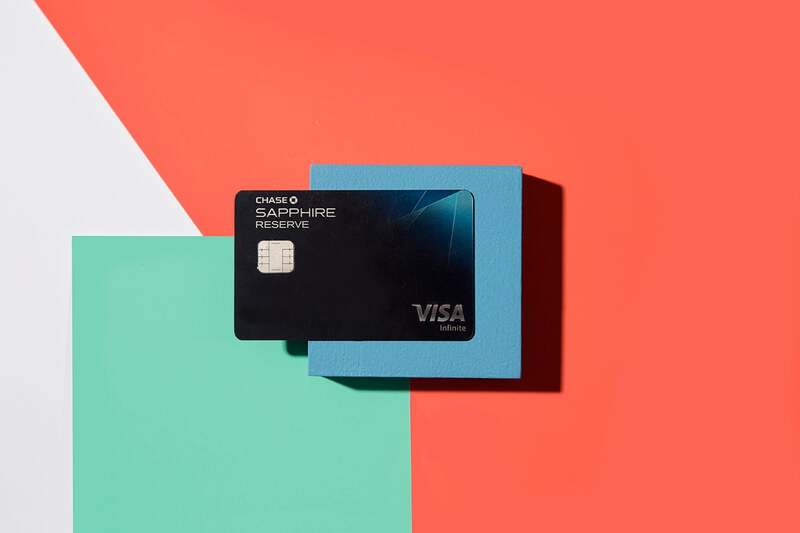 When you consider all the benefits on this card, even with its pricey $450 annual fee, the Chase Sapphire Reserve is clearly our choice for the top card to use on travel purchases this year. With a $95 annual fee that’s waived the first year, Citi’s mid-level card doesn’t cost much to keep in your card collection, but it’s got an awfully nice 3x travel category of its own. You’ll get those bonus points on the same collection of purchases as the Sapphire Reserve, but interestingly, the Citi Premier also counts gas stations as travel. So this can be a great card to use when you’re just filling up the tank at home or on your rental car. Once you’ve earned ThankYou points, with this card you’ll have the option to transfer points to Citibank’s travel partners, which aren’t as strong as its competitors but do have some sweet spots, especially with the addition of Avianca LifeMiles as an airline partner. Plus you’ll also have the option to redeem points directly for airfare at the Citi travel portal for 1.25 cents per point. The card is also currently offering a sign-up bonus of 50,000 bonus points after you spend $4,000 in the first three months. After all the excitement about the Chase Sapphire Reserve, it’s easy to forget its little sibling. But the Chase Sapphire Preferred is still here, and with just a $95 annual fee, it’s still a very attractive option for regular travelers. While its bonus on travel purchases is 2x instead of 3x like the CSR’s, the category still encompasses the same generous list of merchants, which also includes car sharing services such as Uber and Lyft. You’ll only get 1.25 cents per point for direct travel redemptions with this card — unless you hold both this card and the Chase Sapphire Reserve, which makes all your points worth 1.5 cents per point — but the Ultimate Rewards points continue to be extremely valuable when transferred to partners such as United and Hyatt. Finally, the CSP also provides primary car insurance when you’re renting vehicles, which is a fantastic benefit if you don’t want to rely on your own personal auto insurance to cover you and drive up your premiums if an accident happens. You’ll get a ton of travel perks with this $550 annual fee card (See Rates & Fees), including Centurion Lounge and Delta Sky Club access (when flying Delta), Gold status with Hilton and Marriott, a Global Entry/TSA PreCheck application fee credit and many others. 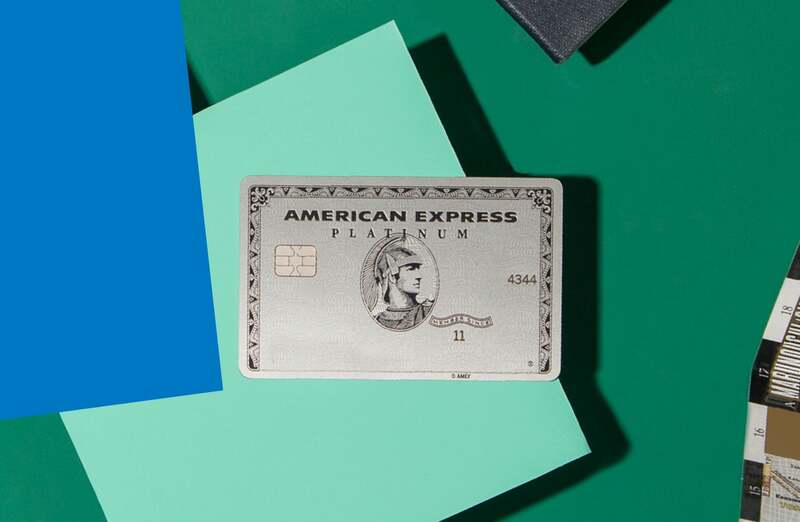 But the Platinum Card from American Express hasn’t necessarily been a great card for travel purchases… until now. American Express has now added two permanent bonus categories to this card: 5x Membership Rewards points when booking tickets directly with airlines and 5x points on prepaid hotels booked on amextravel.com. That’s better than any other card on the market for airfare, and extremely competitive for hotel reservations. Add to that a $200 annual airline fee credit, up to $200 per year in Uber credits and a 60,000-point bonus when you spend $5,000 in the first three months — it’s clear why this card belongs on this list. This card used to be a fixed-value points card, meaning it didn’t have transfer partners and instead offered rewards you could redeem for 1 cent apiece toward travel purchases made with your card. However, that all changed in late 2018, when Capital One announced the ability to move miles over to more than a dozen airline programs, including Aeroplan, Avianca and Etihad. Miles transfer to 12 of the airline partners at a 2:1.5 ratio, while transfers to Emirates and Singapore Airlines are at a 2:1 ratio. Especially if you’re willing to put a little effort into learning the ins and outs of these programs, you can score some great redemptions with your Venture miles. The Venture Rewards Card also earns a spot on this list thanks to the 10 miles per dollar that you’ll earn when booking hotel stays through the link at hotels.com/venture and paying for them with your Capital One Venture card, you’ll earn 10 miles per dollar spent. The bonus miles can even stack with earning free nights in the Hotels.com Rewards program for an effective total of 20% back on all your hotel spend. That’s a fantastic return, and unless you’re going for hotel elite status, the Capital One Venture Rewards should potentially be your first choice any time you’re paying for hotel reservations. The Citi Prestige is another card to see some big changes recently. It now offers 5x points on dining and air travel, as well as 3x on cruise lines and hotels, so it can be a stellar option for frequent travelers. Another positive change to this premium card is an improved annual $250 credit for travel purchases. Previously, it could only be used toward air travel purchases, but now it applies to all travel purchases. On the less-positive side, starting in September 2019 the card’s extremely valuable 4th Night Free perk will be capped at two times per year — and you’ll no longer be able to book 4th Night Free stays through the Citi concierge to get elite credit and benefits. Also starting in September, the card’s annual fee will increase from $450 to $495 for current card holders (the annual fee is already increased to $495 for applicants). At first glance, Bank of America’s newest entry in the travel rewards market might not seem that exciting. The Premium Rewards card earns a respectable 2x points on both travel and dining and 1.5x points on all other purchases, but there are no transfer partners with this card. Instead, you can redeem your points for a statement credit, a bank deposit, gift cards or travel booked directly at a rate of 1 cent per point. However, the real value of this card comes when you combine it with Bank of America’s Preferred Rewards banking program. Depending on how many assets you maintain at Bank of America and Merrill Lynch — including checking accounts, savings, retirement, investment portfolios and the like — you’ll earn one of three status tiers in the Preferred Rewards program, which translate to higher earning rates with the Premium Rewards card. At the highest Platinum Honors tier, the normal 2x on travel turns into 3.5x and the everyday earning rate on this card becomes 2.625x instead of 1.5x. With those returns, the Bank of America Premium Rewards card is definitely one to consider for travel purchases. Rounding out our list is the other card that also can be used to completely offset travel purchases. The Barclaycard Arrival Plus World Elite Mastercard earns 2 miles-but-not-really-miles per dollar spent on all purchases, and the miles are worth 1 cent each when redeemed against travel charges. You can also redeem Arrival miles for cash back or gift cards, but you shouldn’t because you’ll only get half a cent per mile in value that way. There’s one little bonus that comes with this card — a 5% rebate on all redeemed miles — which effectively makes the return on this card a slightly better 2.1%. It’s a card to consider if you’d prefer to cancel out the cost of travel purchases over jumping through the hoops of transferring and redeeming points or miles. Since so many credit cards focus on travel, there are a ton of great options for purchases, and you can’t go wrong with any of these cards. Whether your interest is points and miles or using up travel credits, this list has the pick of the litter. So the next time you find yourself facing a significant travel expense — or even a minor one — make sure you know which card to use. This is The Points Guy’s permanent page with the best currently available credit cards for travel purchases, so you can bookmark it and check back regularly for updates. Keep in mind you may see some reader comments referring to older offers below.